Refrigerant leaks are a common problem. 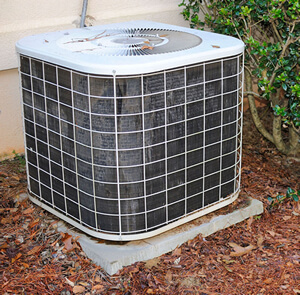 Low refrigerant can affect the efficiency and performance of an A/C unit. Be sure to call immediately if you notice a hiss from the lines that could indicate a leak. Our service professionals will be able to help you identify and fix any breaks, cracks or holes in your copper lines. Dirt build-up on A/C components can be a system's worst nightmare. Buildup on the indoor and outdoor coil can greatly affect performance, efficiency, and longevity of the system. It is imperative to keep your coils and blower clean and system "breathing" as it was designed to do. Failing parts such as a compressor or motor can not only be a headache waiting to happen, but can also cause excessive utility usage while it is making its way to the graveyard. Simple maintenance checks and tune ups can help eliminate these costly scenarios by catching the issue before it is allowed to progress, and correcting it before it drains your wallet! Incorrectly sized and or installed units and ductwork can not only affect system performance and efficiency, but also can affect the life of the system. It is important to have your system installed and serviced by a reputable company to insure proper sizing and installation. Considering a replacement? If your air conditioner is 10 years old or more and not performing properly, replacement may be more cost effective than a temporary fix. Logan Services can help you decide whether to repair or replace.